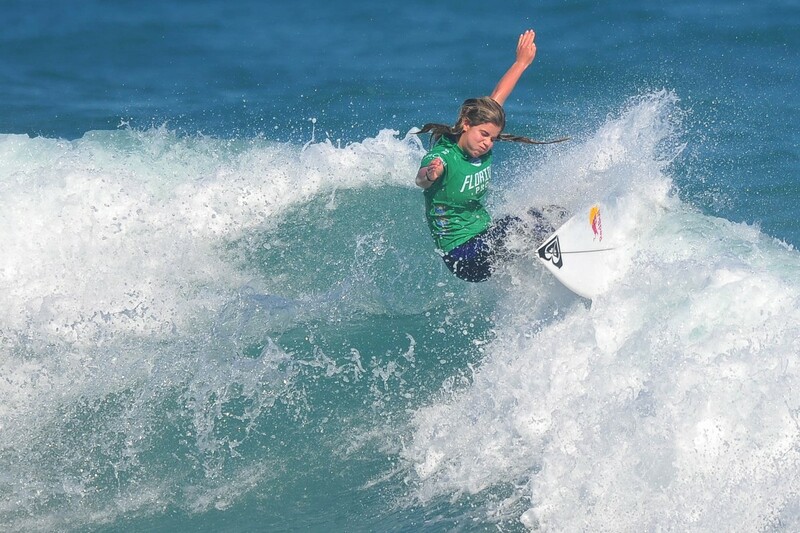 Thursday, February 7, 2019 - The Women's divisions of the Sydney Surf Pro and the Vissla Central Coast Pro can look forward to added support with Sisstrevolution coming onboard to partner with both World Surf League (WSL) Qualifying Series (QS) events. "The talent the Vissla Sydney Surf Pro attracts at the start of the year makes it one of the more impressive QS events to watch," said Turpel. "The decision to support the female competitors came without question, at Sisstrevolution we're all huge supporters and fans of women's high-performance surfing. That, and of course it's only natural for Sisstr to team up and join the momentum Vissla has established at this pro event." 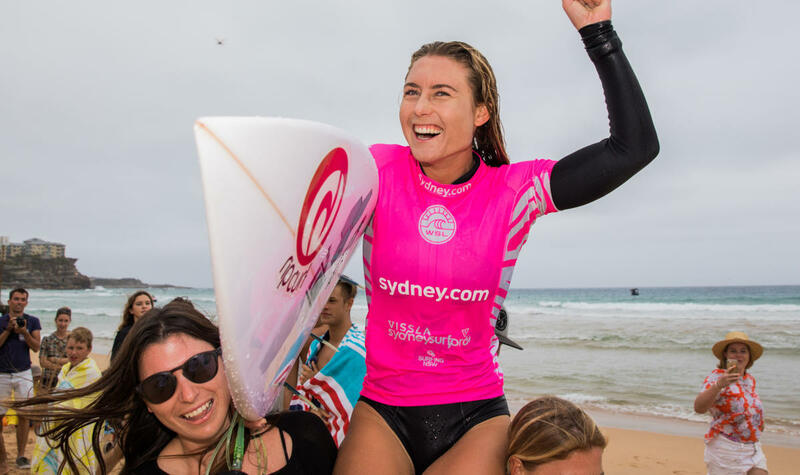 "WSL are extremely excited to return to Manly and Avoca for 2019," said Hayden-Smith. 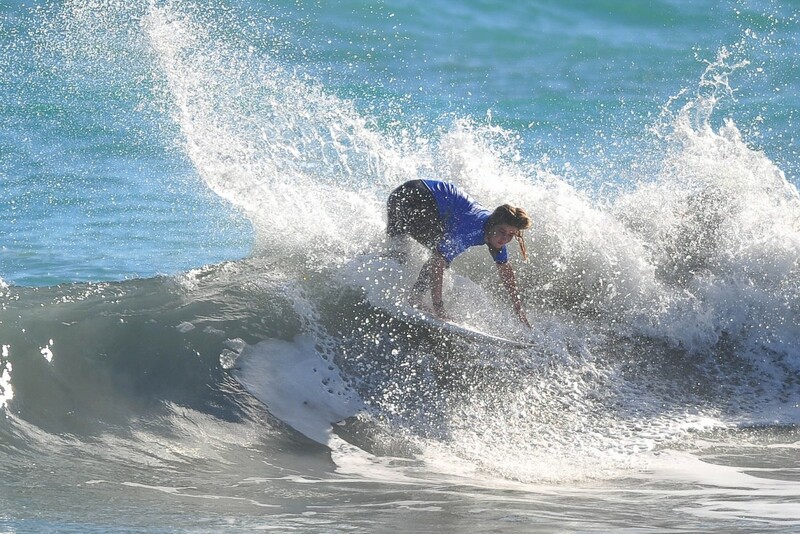 "The support from core surf brands like Vissla and now Sisstrevolution are essential in helping the WSL and Surfing NSW put this event on and provide our athlete's opportunities to compete for all-important Qualifying Series points." 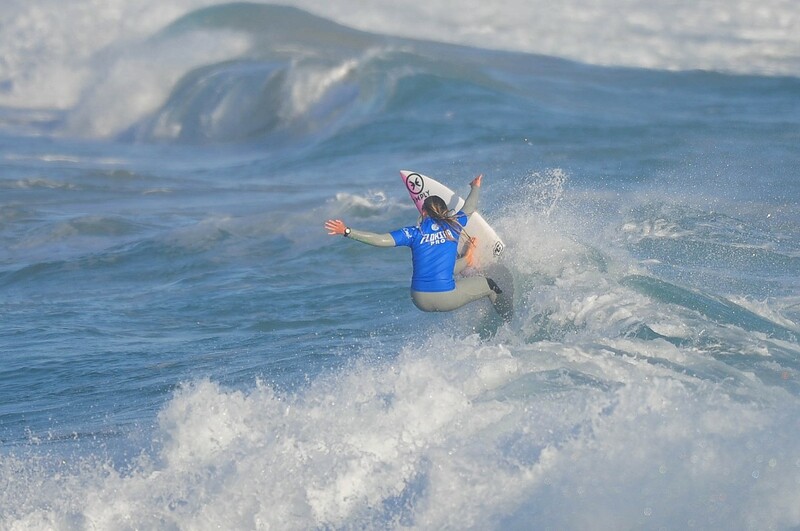 "I'm so proud that locations like Avoca Beach are a talent hot spot for female surfers," said Crouch. "I've had the pleasure of meeting locals including Macy Callaghan, Kirra-Belle Olsson and Molly Picklum, and it's great to see the world-class skills and enthusiasm they bring to this sport." Member for Manly James Griffin echoed Crouch's sentiments in regards to the Sydney Surf Pro pres. by Sisstrevolution. "It's fantastic to see Vissla's sister brand Sisstrevolution backing the Sydney Surf Pro," said Griffin. "The female division will undoubtedly be hotly contested this year and I know Manly is looking forward to it." The Sisstrevolution Central Coast Pro will run from 27th February - 4th March, 2019 at Avoca Beach. The Sydney Surf Pro pres. by Sisstrevolution will run from the 18th March - 24th March, 2019 at Manly Beach. The Sydney Surf Pro presented by Sisstrevolution is proudly supported by the NSW Government. The event is also proudly supported by Vissla, Sisstrevolution, Northern Beaches Council, WSL, KeySun, Hotel Steyne and Surfing NSW. The day before Tia Blanco left for Puerto Rico, we had the opportunity to shoot a few photos at Oceanside Harbor. As always, Tia's surfing was fast and clean with explosive punctuation marks whenever a section loomed up. 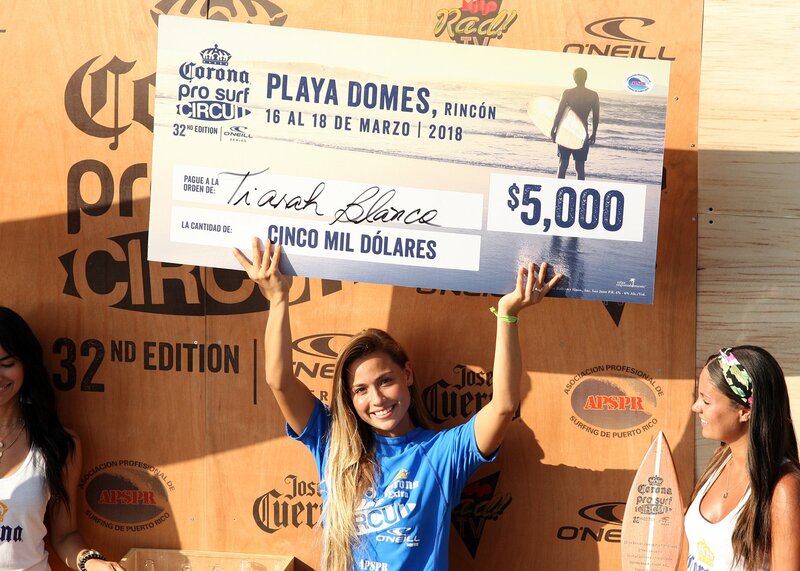 When Sunday night rolled around, it wasn't a surprise at all to see an Instagram post of Tia holding a large, $5,000 winner's check above her head in front of scores of Puerto Rican surf fans. However, Tia's photo caption caught me off guard. 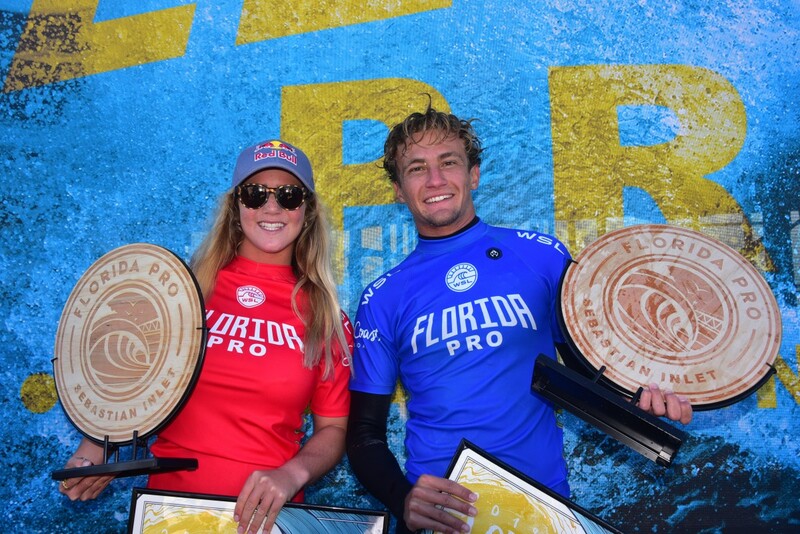 "I am very grateful to take the win here at the Corona Pro! I had a blast surfing in amazing conditions all weekend! Also, I am super excited to now be representing the Puerto Rican flag for the rest of my surfing career! This was the island I was born on and it is an honor to represent them! Much love." 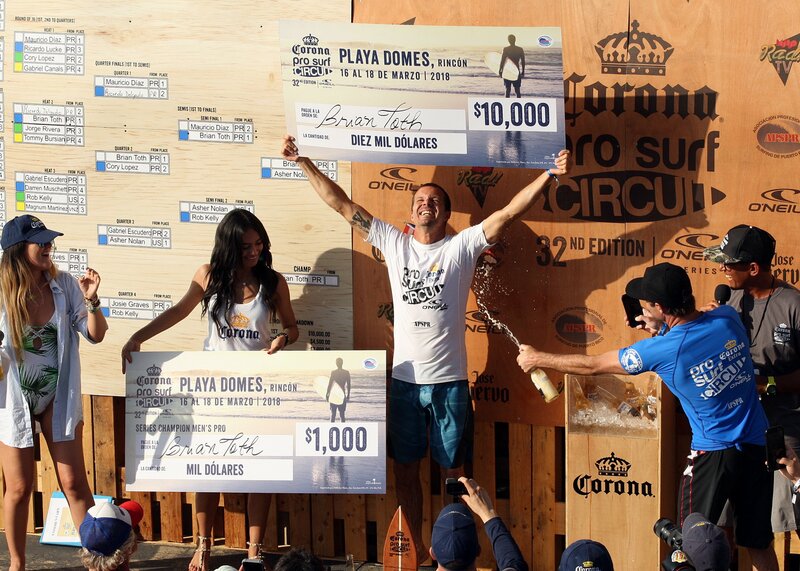 JettyGirl: First off, Tia, congratulations on winning the Corona Extra Pro at Domes Beach. Tia Blanco: Thank you very much! The event was so much fun and the waves were unreal! 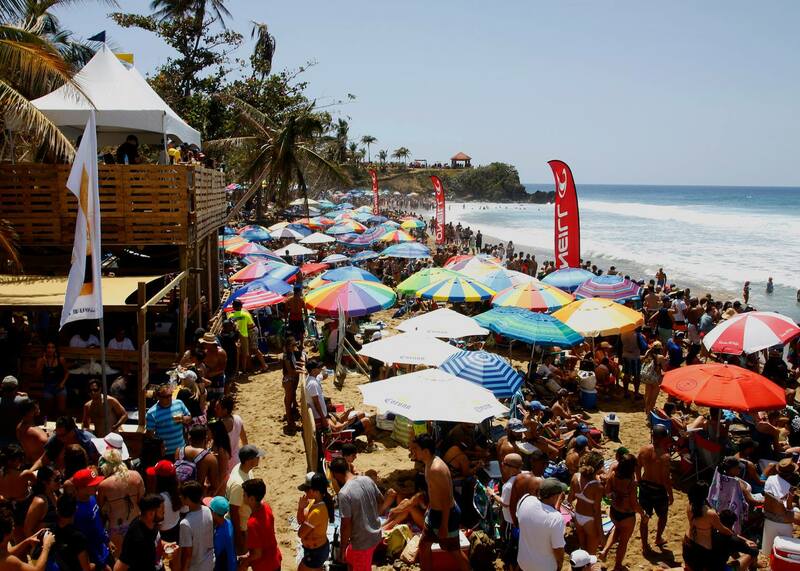 We were surprised to see “PR” next to your name on the heat sheets and then when you won the event, you announced that you would be representing the Puerto Rican flag for the rest of your surfing career. Was that a difficult decision since you've played such an integral part of USA surfing as a multiple ISA gold medalist over the years? How was the news received in the US and in PR? I remember about 5 years ago when I was at the ISA Junior event in Nicaragua representing USA, the PR team came up to me saying that PR is the team that I should be a part of! However, at the time it just seemed like a nice thought, not something that could be realistic. Then, after seeing other surfers change their representation recently, I reached out to ISA to see what their rules and regulations were. Once the ISA confirmed with me that if I was born in PR , then I could represent their flag, it was very exciting news for me! I have always had a sense of connection with Puerto Rico and it has always been a part of my background/story. PR is technically still a part of America and my dad served in the US military there, therefore, I still feel like I am representing both flags in a way. Puerto Rico is such an amazing place, filled with the most passionate and kind people. It is so honorable to now be flying their flag! As a representative of Puerto Rico, will you be spending time on the island training with any of their other local athletes for upcoming international competitions? As part of the change of flags, will you be moving there? Definitely! I am so excited to spend more time in Puerto Rico and fully immerse myself in the culture. I am in love with the waves, food, and people in PR, so I definitely want to spend more time there. What is your favorite break in PR (that’s not a secret spot)? I would say one of my favorite breaks was Domes in Rincon. I was telling my family that is has been a long time since I have surfed perfect waves and how much fun I had. When we visited the island, the locals insisted that we try Mofongo—have you had the opportunity to try a vegan version? If not Mofongo, what is your favorite Puerto Rican dish? Mofongo!!! I love mofongo, tostones, and yuca so much, lol. I wish there was somewhere in California where I can eat those foods more. After Hurricane Maria devastated Puerto Rico six months ago, it was really heart-warming to see how neighbor helped neighbor and how people bound together for the good of the community. Hurricane or not, it’s a trait we’ve witnessed over and over again with Puerto Rican friends. When you’re exiting the water in future events and they ask you about your birthplace, what is it about the island or its people that inspires you the most? During my last visit to Puerto Rico I heard some pretty unimaginable stories that were hard to comprehend. However, I did hear some amazing stories as well. For example, when the students went back to school they had no power. One of the teachers told me that the day the power switched on, all the kids erupted with joy! She said that they immediately started cheering, jumping, and hugging one another! When I heard that story I had chicken skin! I am inspired by the passion and good energy that Puerto Rican's have within them! Their passion for their island really gives me motivation to work hard and do my best to represent them well. Garazi Sanchez 2018 from Garazi Sanchez on Vimeo.